I count curd as a super food. It has various health benefits and an ideal food during Summer. Curd has protein, carbohydrate, fat, vitamin A, Vitamin B12, potassium, sodium, calcium, magnesium and few other vitamins .Except that curd has significant quantity of water which keeps body hydrated and cool during the hot summer. Let's discuss the benefits of having curd for our skin, hair and health..
Sun rashes, tanning, pigmentation are very common during summer. 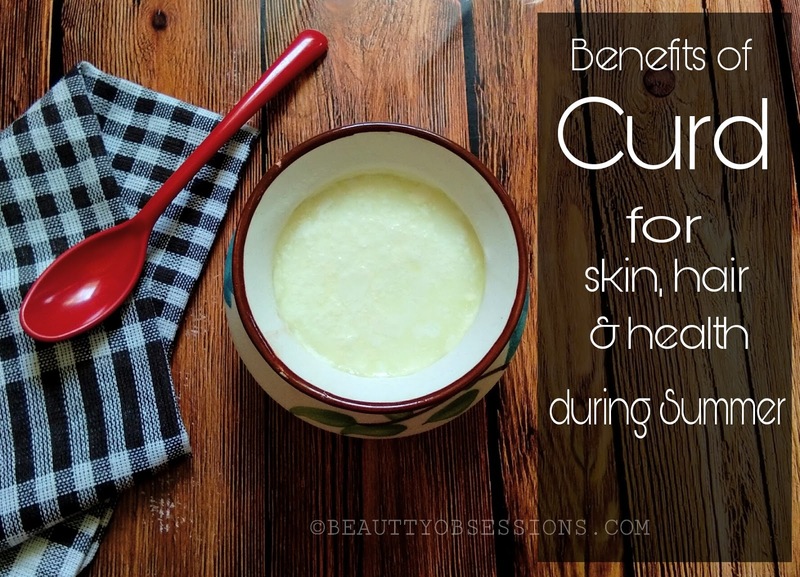 Sour chilled curd can be applied to sooth down the sunburn on skin. To make a smooth pack take 4-5 tsp. of chilled curd, 1tsp. of cucumber juice, 2tsp. of gram flour and mix well. Then apply on face and other tanned part of body . 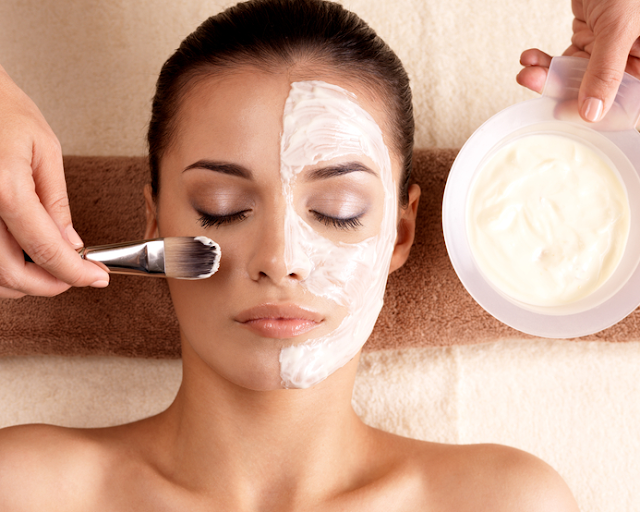 The lactic acid in curd helps to lighten and exfoliate the tanned skin. You can also apply curd on face and neck on regular basis to remove pigmentation and in this way skin become moisturised and clean thoroughly. Curd has antioxidant properties which also acts as an remedy of premature anti-aging. Curd is the natural hair conditioner and really effective for hair. Curd nourishes and add natural shine to hair. To make a easy and effective hair pack, take 2-3 tsp. of curd and add 1tsp. of honey and mix well. Then apply thoroughly on hair and wash after half an hour. The lactic acid in curd smoothens the cuticles and softens the hair. Curd is also very effective in curing dandruff , ichy scalp issue. Apply a bowl full of sour curd on scalp thoroughly and wash with cold water. To add natural shine and volume to hair ,apply curd on regular basis. Curd has vitamin B12 which is very important for strengthening hair follicles and for hair growth. Curd has probiotics which helps to clean guts and improve the digestive system. 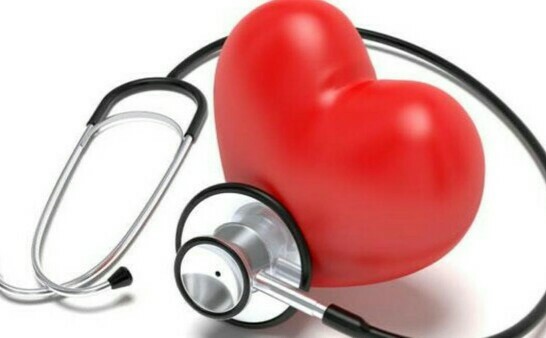 The calcium in curd regulates cortisol which prevents hypertension, obesity and cholesterol . It is advisable to drink curd and mint water during summer to balance weight and feel healthy from inside. During summer it is very important to have salad with curd to reduce the body heat and keep the stomach cool. You should drink 2-3 glass of curd water to keep body hydrated during summer . These days flavoured yogurts are also available in market which can have like this anytime any day.. I love using curd on my skin and hair during summers. It feels soothing, nourishing and a solution to a lot of hair and skin problems. I love having curd in all the three ways you've mentioned. Totally agree it has some great benefits to overall body and health! I have been using curd on my skin since forever! Really helps a lot to remove the tan and add a glow when running out of face packs! Curd is a perfect conditioner for my hair , I used to use it as hair mask in my college days. I will try curd for face and hairs for sure.. Didnt know it had anti-pigmentation qualities. Curd is indeed very beneficial for health. I love to eat curd everyday.